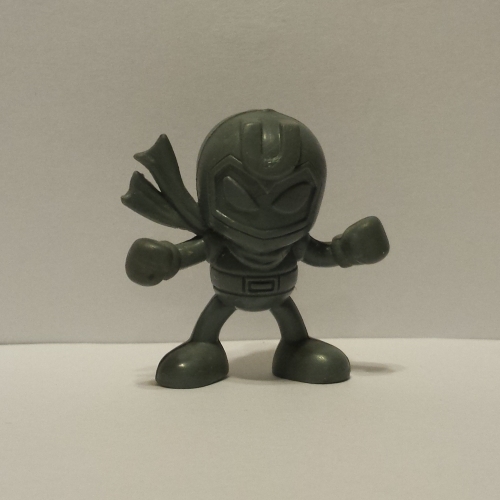 Hi, and welcome back to our ongoing catalogue of Bomberman keshi. If you haven’t already, please start at the first post, then check out the list of articles we have on the subject. I’m steadily trying to cover them all, but it’s going to take a while! 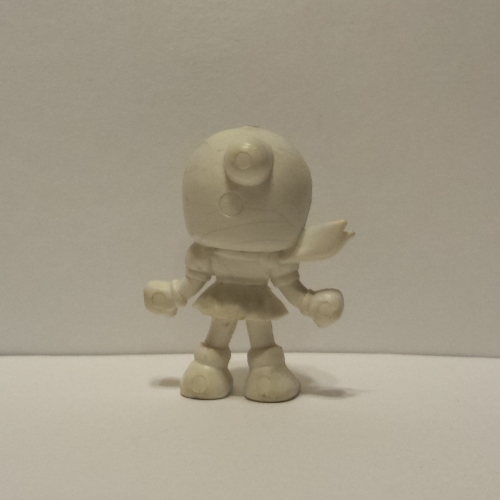 Today, I’m focusing on the keshi from Super Bomberman 2 for the Super Famicom (or Super Nintendo). This is the first of two sets representing the 5 Fiendish Bombers (known in localizations as the 5 Bad Bombers or 5 Dastardly Bombers). You may be wondering how one can know which game each set is from. 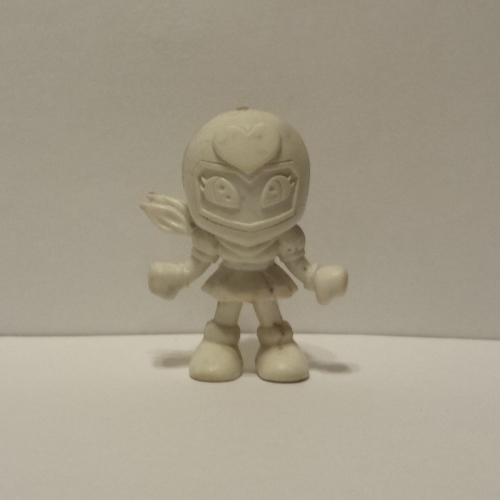 There are some telling signs in one of the figures that I will detail later on, so just sit tight~! Just like Magnet Bomber himself, there’s not a whole lot to say about this one. Okay, that’s a little unfair. Magnet Bomber was one of the most interesting bosses in the game. Actually, there are a couple of things I’d like to note about this figure. 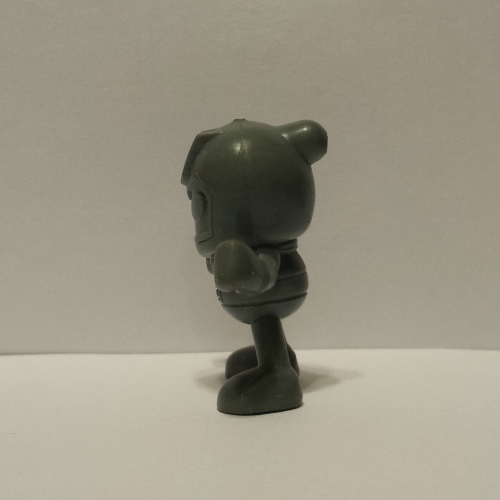 His feet are big enough and spread far enough apart that they keep him upright moreso than some of the other figures I’ve covered (and will cover). 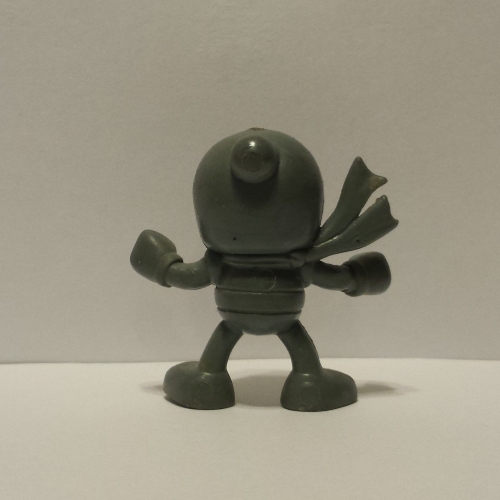 The other thing is the way the three scarf-wearing characters are sculpted. 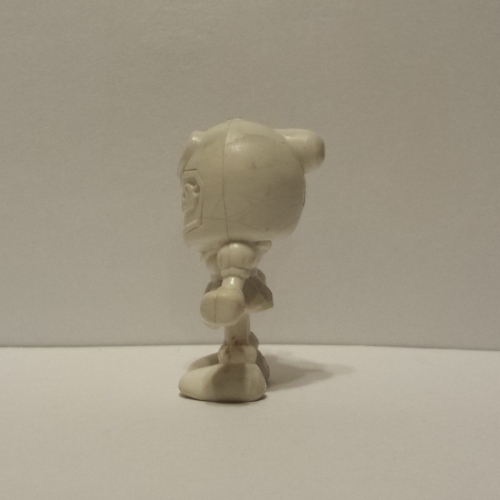 Placing them on the side makes each one visible and keeps it flat in line with the seam on the side of the figure, which is pretty neat. …Maybe I’m the only one who finds this sort of thing interesting. Somehow or another, I’ve ended up with three of these guys. 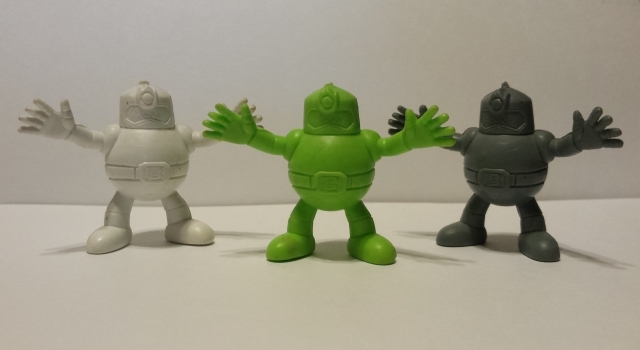 Together, they’re like a more badass Magneton. 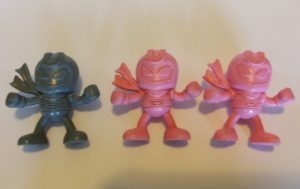 As I noted in the previous article, large characters in these series are scaled down to fit the same dimensions as the other figures in the set. 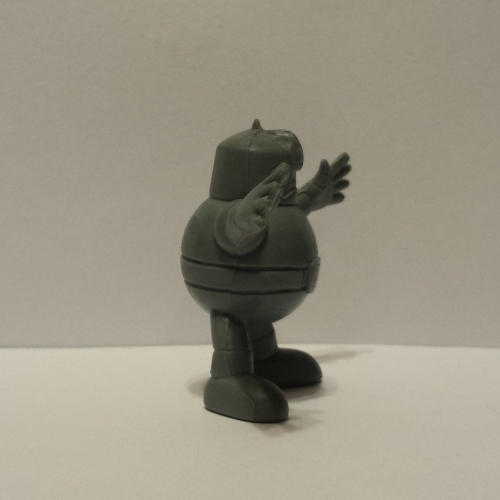 So, Golem Bomber here is proportionately accurate, but he’s the same height as Magnet Bomber. You can kind of see this in the header image at the top of the article. Even though he’s kind of hefty, his pose tends to keep him fairly balanced. There’s really only one figure in this set that has mild difficulties with balance. 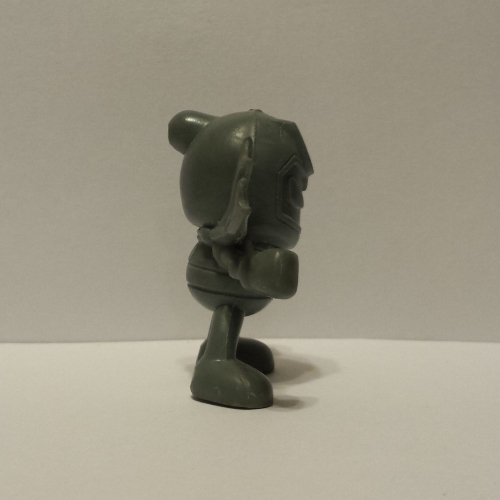 By the way, since I’m talking about it, you might find it interesting that he has his rounded design when, in Super Bomberman 2, he has a muscular hunchback look instead. 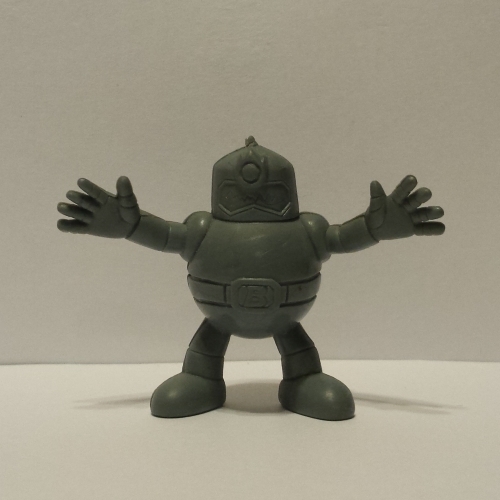 Well, even in the artwork for Super Bomberman 2, Golem Bomber looked like this figure instead – you can even see this in the redrawn Western box art. Additionally, you may notice that he lacks an antenna. 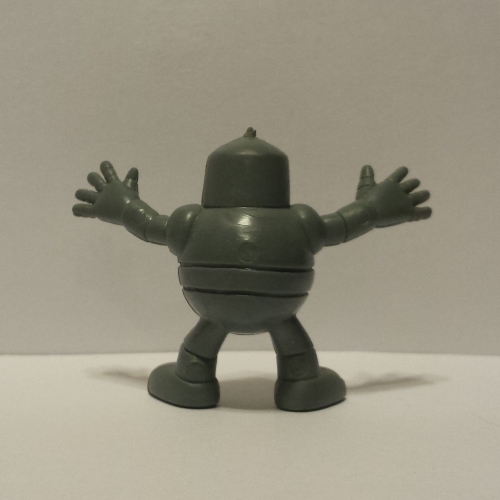 Many years ago, when I obtained my first keshi – a Golem Bomber from another set, which I intend to show at a later time – I thought this was a mistake until I looked back at all the artwork and noticed that, not only does he have no antenna, but his head is kind of an odd cylindrical shape. I feel like this is probably a common misconception amongst people who played both Super Bomberman 2 and Super Bomberman 3, because he is clearly depicted with an antenna in his sprites in both of those games. I have no idea how this error made it into both games, nor why his Super Bomberman 2 sprites have such a radically different design from anything seen anywhere else. 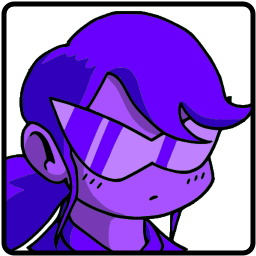 Artwork from Panic Bomber W.
It’s weird to look at early Pretty Bomber art, isn’t it? I feel that changing her face was probably a smart design choice. 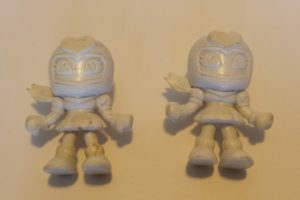 Oh, and in case you were wondering, the reason why this places these specific figures into the Super Bomberman 2 series is because the only other set of the 5 Bad Bombers was only made in translucent colours, thus confirming that they are meant to be grouped together. 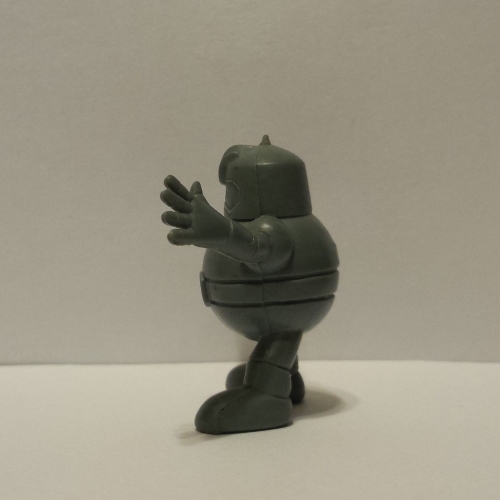 And yes, my Pretty Bomber figure is pretty scuffed up. I have another that looks cleaner. 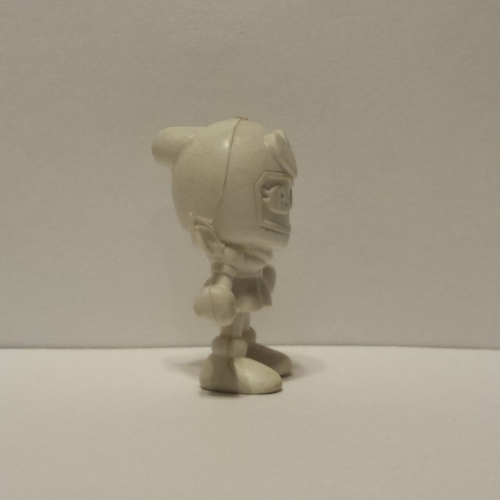 This one is the second keshi I ever collected, though, which I guess is why I took pictures of it instead. 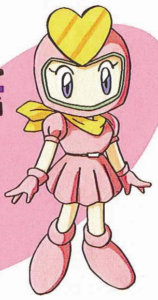 A rare instance of two female Bomberman characters together, and they’re both the same person. Have an idea for an article? Please let us know!